Brats already praised this pretty highly in his Brent Gargoyle approved post. 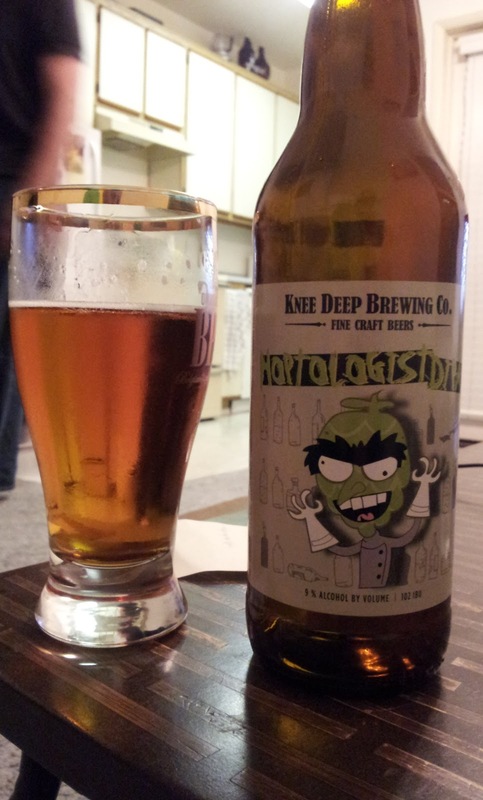 Even though I fully agree with his assessment, I figured the beer deserved a proper picture, if only so people may understand how excellent the graphic designers at Knee Deep are. Crazy-eyed Mad Hop-cone Scientist at work!!!! This is simple and fantastic and, to echo Brats, what a double IPA should taste like. It's shockingly smooth and hoppy (bitter to disguise 9% and floral for pleasant aromas). So it should be no surprise that Brats is up for the next episode of hoarders: I NEED all these Hoptologists!!! !